We're looking for experts to join our ever-growing team of writers. If you're passionate about design, then get in touch. 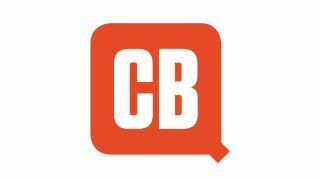 On Creative Bloq we're always on the lookout for talented writers to join our network of contributors. If you're a great writer with a passion for all things creative (or, if you're a graphic designer, illustrator, web designer or 3D artist who wants to share their expertise), then we want to hear from you. Here's what you need to know if you're interested in joining our Creative Bloq contributor network. Creative Bloq is all about making design entertaining, inspiring and accessible to as many people as possible. We're the online face of a number of different design magazines: Computer Arts, net, ImagineFX, Web Designer and 3D World. That means we cover a wide range of different types of design, and we need passionate experts to share their knowledge and expertise. If you think you have what it takes, send an email to contact@creativebloq.com. Outline where your interests and knowledge lie, and please include some examples of posts or articles you've written. It's a great idea to approach us with a few ideas (or just one, well-formed idea!) about what you want to write for us. Take a good look around the site for ideas of articles that might fit, and make sure you're not suggesting something we've already published. Note that due to the volume of emails we receive we are not able to reply to all pitches. If you haven't heard back from us, then please assume that we're not interested at the moment, though feel free to suggest a different idea in the future.